It is not every day that you get an opportunity to spend a Sunday afternoon in studio with the Premier of the Western Cape. 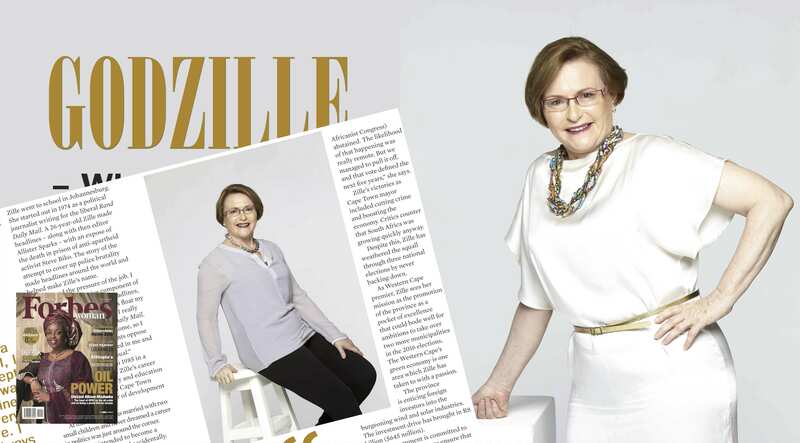 Helen Zille is a powerhouse in South African politics, a woman with clout and conviction – not everyone likes her but she is the leading force of the Democratic Alliance, the major opposition party to the ruling ANC. When the editor, Renuka Methil, of Forbes Woman Africa magazine commissions you for a shoot and doesn’t reveal who the individual that you will be shooting is, you know it is reasonable to be quietly excited. Once all the details were in place, all was disclosed. 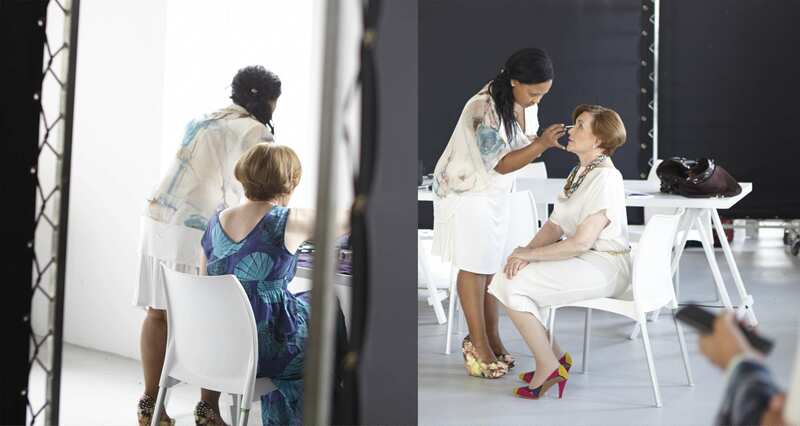 On a gorgeous day in Cape Town, at a Roodebloem Studio, the shoot was on. Helen arrived, greeting everyone as she made her way upstairs to the spacious daylight studio. Beautiful lightweight fabrics, carefully stitched into classic garments, hung on the clothing rail, ready for the Premier to select her preference. Carla Chanquin styled the Premier and put the outfits together from Bodhisattva. Hair and make-up artist, Janine Schouw, kept the Premier looking radiant, without a hair out of place. Once ready the Premier was keen to get things moving along. My assistant, Etienne, and I had set-up the space, the lighting and all things photographic were in place. I started shooting immediately, but after a few frames, the Premier asked if we were done. My brief was to shoot her in different outfits, close-up, full length and lifestyle options. I shot as quickly as possible, but I wanted to make sure that she was happy with the images, so we tweaked garments, accessories, hair, perfected the pose and before we knew it, we were having fun. Quietly behind the scenes, the Forbes Woman Africa journalist and Cape Town Bureau chief Svetlana Doneva ensured that all ran smoothly. She also wrote the engaging article about the Premier in the current, April/May, issue of the magazine. It certainly was a perfect day in the studio with the dynamic, Helen Zille. In the end it was more about me keeping up with her. We got the shot, several times over! The CNBC television cameraman filmed behind the scenes footage and conducted interviews. My assistant took some great behind the scenes photographs (used here), that is, when he wasn’t: being asked to move that; bring the next thing; and swiftly reading my mind, thus, pre-empting my next request. This entry was posted in Photography and tagged Africa, Angie Lazaro, Carla Chanquin, CNBC, DA, Democratic Alliance, Etienne Koch, Forbes, Helen Zille, Janine Schouw, Kristijan Srsa, Renuka Methil, Svetlana Doneva, Western Cape Premier, Woman, Yumnaa Firfirey. Bookmark the permalink.